Before discussing spider bite symptoms, some general information about spiders may be useful. Many approximations have been made concerning the amount of different spider types that exist worldwide. Some estimates suggest that there are over 100,000 types of spiders. Spiders are often mistakenly called insects. However, spiders are part of the arachnid family and are not insects. Spiders have eight jointed legs, no wings, no antennae, and have only two body sections. Insects have six legs, antennae, and three body sections. Spiders normally do not go out of their way to bite humans. When they do bite, it is usually to defend themselves or their web territory. Most spiders are not dangerous to humans and do not require a spider bite treatment. For many spiders, their fangs are either too short or too fragile to be able to penetrate the skin of humans. If they do bite, most bites are too small even to be seen. Spiders are primarily designed to attack insects rather than humans. All spiders do have some amount of venom. However, the potency can vary substantially and this determines the extent of reaction or bite symptoms in human skin and the body overall. The severity of symptoms of a spider bite and the requirement for a spider bite treatment depends on the type of spider, the health, and age of the victim (older and young individuals are more susceptible to the toxic effects of the spider venom), the site of the bite, and the amount of venom that was injected by the spider’s fangs. The spider’s venom is classified as neurotoxic or cytotoxic and the symptoms of spider bites and the required spider bite treatment depend on which venom is involved. A summary of the general expected spider bite symptoms for each type of venom is given below. Although both types of venom have the potential to cause death, usually the neurotoxic venom is more dangerous in this regard. Cytotoxic venom is the one that affects skin tissue the most. This can occur at the bite area, but may also spread. When a bite occurs, it is painless at first. 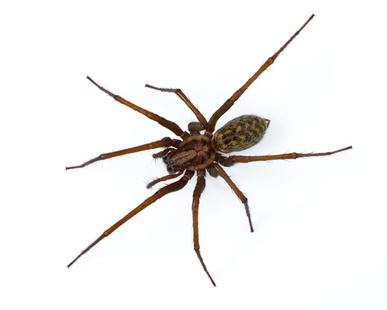 Spider bite symptoms tend to develop two to eight hours later at which point the area is painful, swollen, red, and itchy. After a couple days, things should subside and only a minor spider bite treatment may be necessary. However, if a dangerous spider did the biting or if a lot of cytotoxic venom was injected some significant symptoms can occur and spider bite treatments are definitely required. In these cases, eventually a blister forms at the bite site. Meanwhile a lesion or ulcer forms under the blister. After the blister opens up, the ulcer is quite deep and is necrotic (made up of dead skin or tissue). Lesions can be up to 10 cm in length and may affect muscle tissue. Treatment may involve corticosteriods or surgery of the ulcerated area. In these cases, the ulcer will leave a significant scar. Serious cases may also involve other complications such as vascular damage and renal failure. In terms of a spider bite treatment, serious lesions require immediate medical attention and may eventually require skin grafts to deal with the scarring. In addition, antibiotics will be required to treat infections.